Abby makes excellent meatball soup. My kids crave it when they are not feeling well because she used to make it for them. When I told my boys that I made soup like Abby’s, they rolled their eyes. “Mom, you can’t make soup like Abby”. For the record, James ate 3 bowls of my soup. Combine the ingredients and form the meatballs and bake for 12 minutes. Add to soup. Allow the soup to set for a couple of hours. Reheat and serve. The soup and meatballs will be so good. Serve with fresh french bread. Yummy. 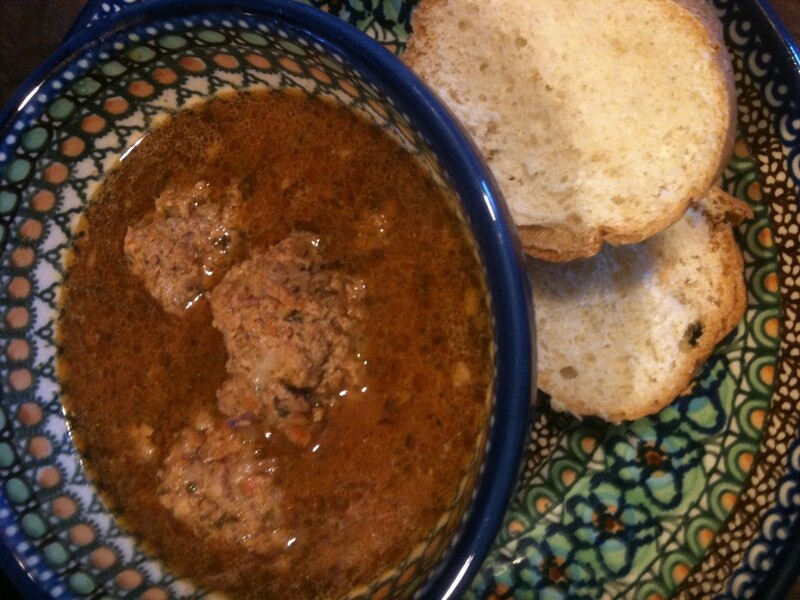 This entry was posted in Soup Kitchen and tagged albondigas, meatball, Soup. Bookmark the permalink.